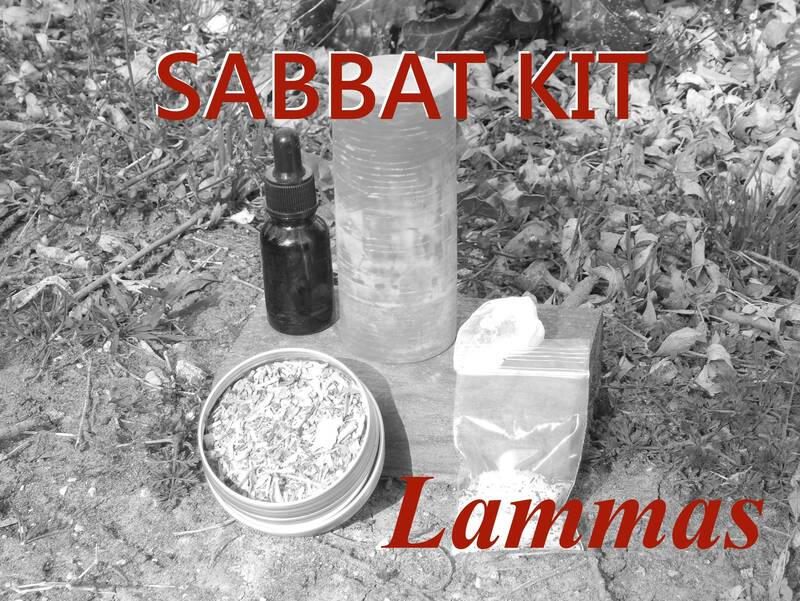 A complete LAMMAS sabbat kit. 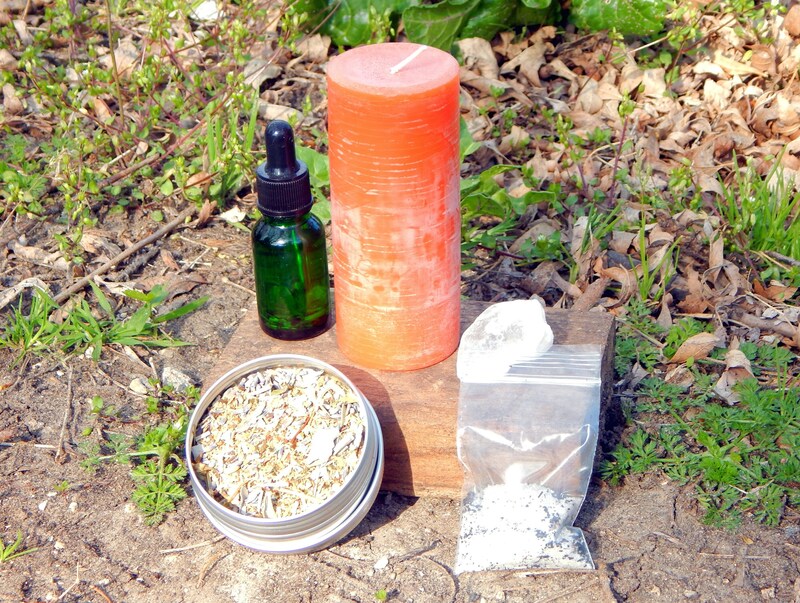 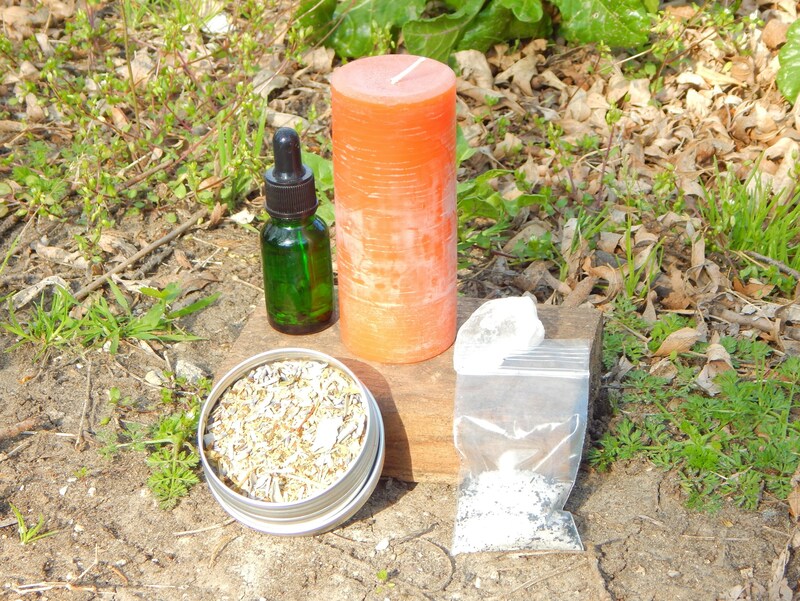 This kit includes one medium sized beeswax pillar candle in the corresponding color for this Holiday, tumbled and natural gemstones, a two OZ tin of Herbal incense, two charcoals, 15 ml organic Lammas sabbat oil made with organic grapeseed oil, sample sized ritual salt, full instructions and optional ritual. 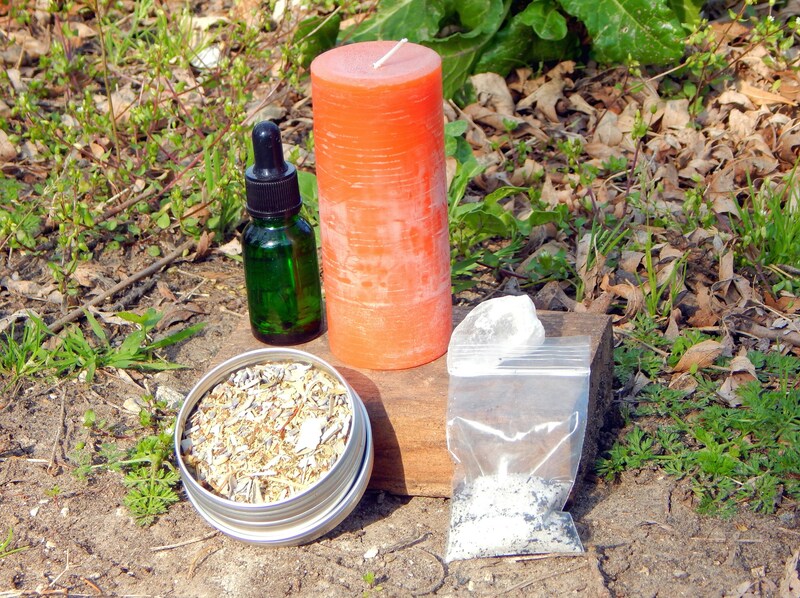 TRADITIONAL LAMMAS CORRESPONDENCES: Blessings, Abundance, Money magick, Weather magick, good health, harvest, career and personal success. 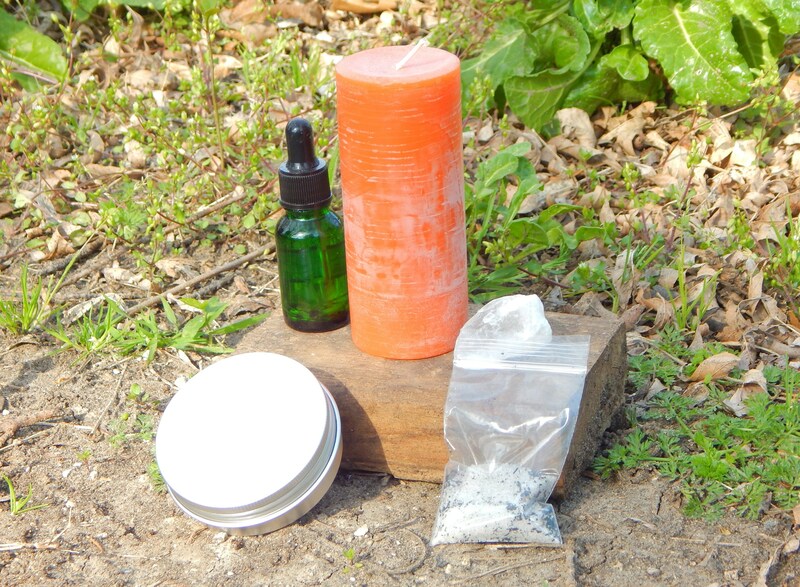 USA shipping includes priority mail in large padded envelope, packed with love and care.